Keeping your Vallejo apartment clean and clutter-free can help make your home feel more relaxed and make it easier to find what you are looking for. One area that typically can build up the most clutter is your closets. 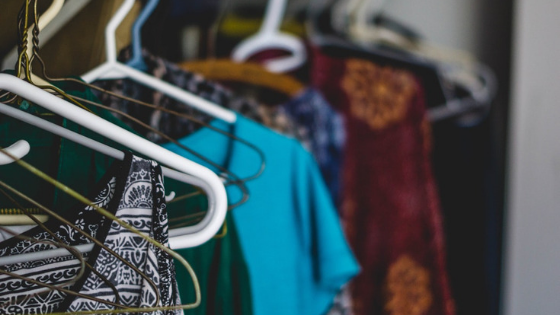 One of the major reasons that your closet may be cluttered is by keeping hold of things that you no longer need or use. Start this year off right by ridding yourself of unwanted closet clutter. Everyone has clothes in their closet that they may wear at some point, or might eventually fit into. Unfortunately, these items can take space away from regular times you rotate for your wardrobe. If you are having trouble deciding what to get rid of, try the hanger method. Start by hanging your items so that all the hangers go one way. As you wear the items, put them back in the closet facing the other way. At the end of the year, get rid of all the clothes that are still facing the original way. If they have not been worn in a year, you probably don't need them. Shoes take up a lot of space in your closet, but keeping them in boxes is not ideal when you are trying to find what you are looking for. Instead, consider putting in shelving that can easily fit most of your shoes. This will allow you to use the vertical closet space, while still keeping your shoes easily accessible. Don't let your closet look like a free-for-all! Group your items into basic categories such as shirts, pants, dresses, and skirts. Next, have a group of statement pieces. This section will include jackets, scarves, and wraps. Finally, have an area for accessories, such as jewelry, hats, and ties. This way you can grab a piece from each section to make a complete outfit quickly and easily without having to hunt in your closet for a while. Looking for a new apartment in Vallejo, California to test out your new organizational skills? Contact Bay Village today to find the perfect closet for your newly sorted items.